Peachtree Publishing Company, 9781561458028, 32pp. Eggs and pancakes, coming right up Stanley is cooking for all the hungry customers who come into his diner, while Hattie takes their orders. Then Stanley serves up a special cake - but whose birthday are they celebrating? William Bee's wonderful series featuring Stanley, an adorable hamster, is great for readers at a transitional age between board books and picture books. 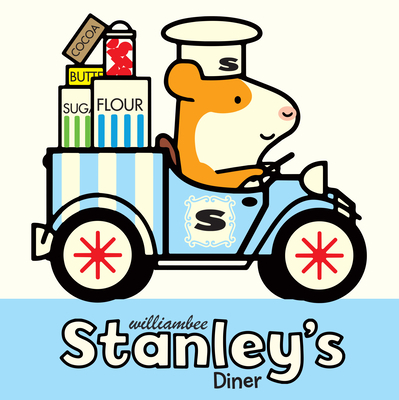 Stanley's Diner will appeal to young children wanting to know about occupations and machines.